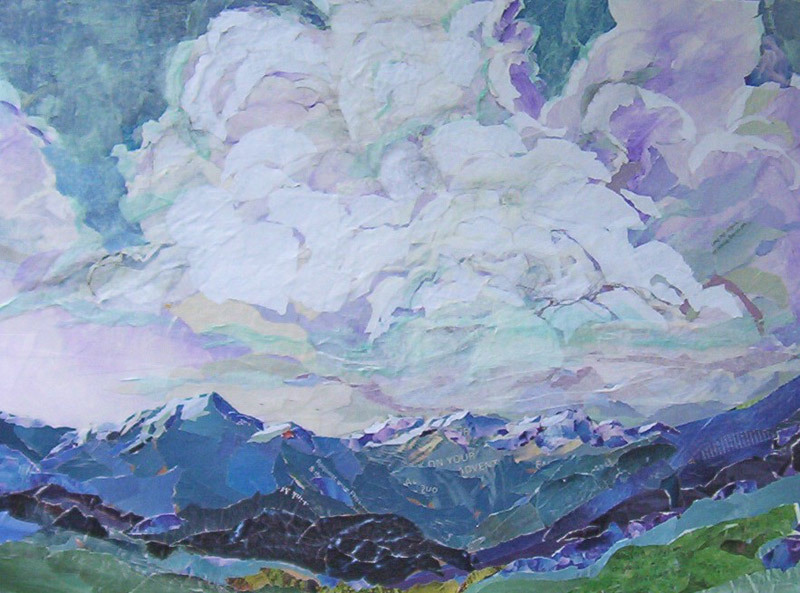 Kudos from Mitchell Albala: By applying an atypical medium to landscape (collage), "Thunderheads" is able to create an original interpretation of an otherwise traditional subject. The hard-edged and shape-oriented nature of collage creates a textual metaphor for the volume and structure of the clouds. Color, depth and movement are suggested at every turn.